For centuries, mohair has been known for its unique qualities of luster, softness, durability and bright colors when dyed. Its silky feel and its great capacity to absorb humidity make mohair fibre a select choice in the fabrication of comfortable and classy high-end garments. In addition, mohair fibre is non-felting and crease resistant. 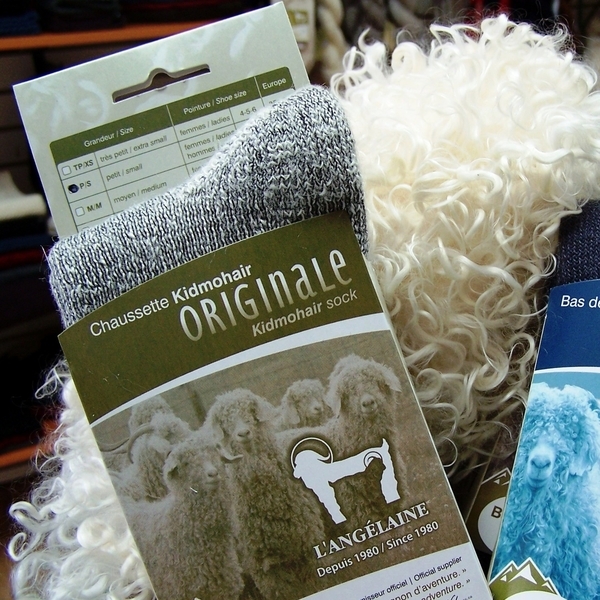 Like all animal fibres, mohair provides an excellent protection against extreme temperatures in hot or cold climates. Because of its fibre structure, mohair is more similar to a hair than a wool fibre. It has less crimp than wool and has a fibre diameter ranging from 23 microns for kidmohair to 40 microns for adult hair. Contrary to wool, mohair fibres exhibit flat and rounded scales sparsely distributed around the fibre cortex. This structure is responsible for the softness and brightness of mohair, with the flat scales reflecting light as tiny mirrors. It is these characteristics that contributed to mohair?s surname as ?the diamond fibre?. These attributes are absent from fibres such as cashmere and alpaca which are nevertheless very much. Somewhat similar in appearance, angora wool is produced by Angora rabbits or cats ? 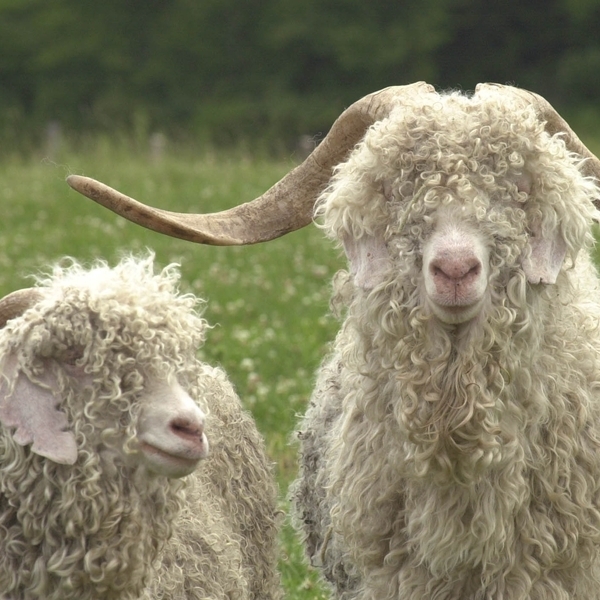 while mohair is exclusively produced by Angora goats. This hair grows continuously on the goat?s body and must be shorn twice a year to prevent the animal from stepping on its own fleece.